Whittier Truck Accident Injury Lawyers and Wrongful Death Law Firm: Over 40 Years of Experience You Can Trust! Our personal injury lawyers and law firm have more 40 years of experience in handling truck accident and wrongful death claims in Whittier and all over Los Angeles and California. Our truck accident attorneys are known for offering expert legal services for victims of truck, car and motorcycle accidents and for the families of those killed in a truck or other accident for wrongful death claims, in Whittier, CA. For more information about our Whittier & Los Angeles truck accident personal injury and wrongful death law firm, check our home page, our lawyer profiles, and our personal injury & wrongful death case testimonial pages. Additionally, you can check our Truck Accident Injury Advice Section for general truck accident advice. However, it would be better if you contact us personally for your FREE evaluation of your specific truck accident, car accident or other personal injury claim. Why Choose Our Whittier Personal Injury & Wrongful Death Accident Lawyers and Law Firm? If you have been hurt in a truck accident in Whittier, Los Angeles or anywhere in California, or your loved one has been killed in a truck collision with a wrongful death accident claim, then we urge that you contact our experienced truck accident and personal injury lawyers. You may be entitled to compensation, including for hospital and medical expenses, lost income and wages, pain, sufferings and trauma, advice and counseling etc. Please do not wait; there are many time and procedural rules in which to comply and there is NO benefit to waiting. It is tough for you to handle the entire legal process, as dealing with insurance company adjusters, investigators, defense attorneys and filing a lawsuit against a truck company are quite complicated and may involve many procedural and other issues. It is better for victims of such accidents to seek assistance and legal services right away of an experienced personal injury attorney, like ours, before mistakes are made. 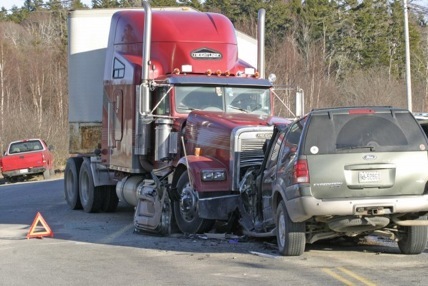 The Whittier truck accident lawyers at the Walch Law Corporation will ensure that you and your family get justice and work hard to maximize your compensation. Contact our truck accident injury lawyers and our legal team and get your completely FREE CONSULTATION and case evaluation. You can get in touch with our legal team on 818-222-3400 (after hours, please press 1) or call us at our Toll-Free number - 866 INJURY 2 or 866-465-8792 (after hours, again please press 1). Contact us by emailing us at info@WalchLaw.com! Contact us now; you’ll be glad you called us! FREE Accident Case Consultations and NO Fee Until You WIN!